By far the most popular, most talked about and most appreciated amenity at the villa is the attentive pampering provided by our experienced staff, a husband and wife team. Everyone enjoys this touch of luxury. 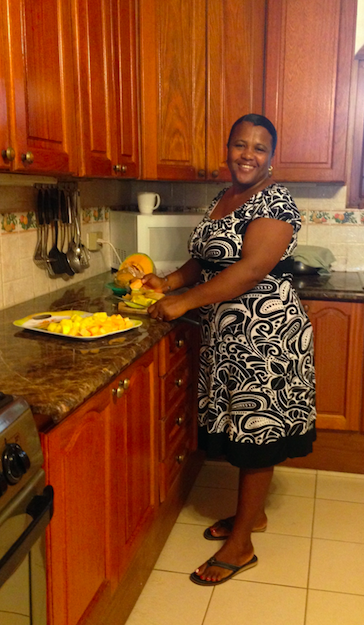 Mercy is our cheerful, talented, hardworking chef / maid / laundress / housekeeper and mother figure extraordinaire. “I soon realized how much delicious food I would be eating that week from the first few bites of our ‘snack” … Homemade chicken salad, zucchini pancakes… every bite better than the first” — Jordann L.
Throughout your visit, Mercy tends to the daily chores and effortlessly keeps up a steady supply of food and beverage. She takes great pride in making every meal a sumptuous feast…so it would be wise to pack some stretchy pants. And she pampers you. Don’t even try to get your own coffee! After one day of this service you will wonder where she gets the energy… and how did you ever survive without it? Guest service begins at the airport where Julio, our personal houseman, greets you and provides direct transfer back to the villa. Then Mercy, our cheerful and attentive chef/ maid takes over. When there are larger groups, additional staff is brought in to ensure every guest—including moms—receive ample attention. “Julio and his wife, Mercy and their daughter, Ingrid were true angels… We had two different medical situations… and Julio went above and beyond the call of duty telling us “no problemo; you are our guests”… We came to call him Saint Julio.” — Kathie H.
“Julio, Mercy, and Ingrid have spoiled us totally! 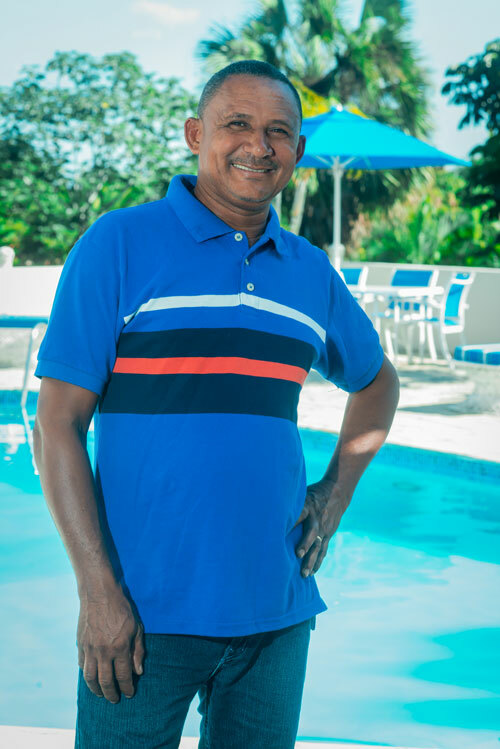 The vacation began at the airport, where we didn’t have to worry about finding our way – and it continued with fun trips, relaxation, great food and such nice people.” — Cathy S.
Julio tends to the gardens, pool, and home ensuring that every corner of the property remains in pristine condition. He uses his personal van for airport transfer service and can be engaged to run errands and stock the kitchen prior to your arrival. That way, as soon as you walk through the front door you will be greeted with a frosty Piña Colada and a warm tray of yucca frita. Julio is your go-to man for anything and everything. His ready smile and endearing personality makes everyone feel completely at ease… even children. He has often ‘engaged their help’ to pick mangoes, coconuts, or bananas from trees in the yard, and then demonstrated how to cut open a coconut and drink the milk– as they watch in wonder. Julio and his wonderful wife, Mercy are true fan favorites. And we have a full time manager, Gabino, who is available 24 hours a day for any ‘just in case’ issues that may arise. Bottom line: If you need anything the staff is readily available to help. 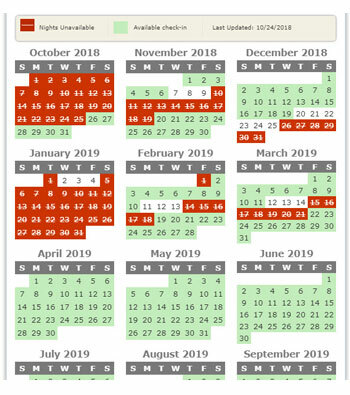 Your quest to find an exciting and memorable family vacation has ended! Welcome to Villa Vista del Mar, an expansive 6-bedroom 7.5 bath home built with total comfort and relaxation in mind. Long term, experienced staff works on all aspects of preparing, cooking, serving and clearing the meals, snacks and beverages; tends to your laundry and keeps the villa and pool spotless… The end result: YOU WILL BE PAMPERED– unlike any other vacation experience.